For many school districts, a balanced calendar has replaced the longer summers with shorter breaks and an early-August start. This means that school will be back in session soon and with it, try-outs and school sports ahead for many young athletes. With so many student athletes ready to return to the school jerseys, we came up with a list to help keep your favorite player/s in the game; because the new school year is time for a lot of exciting new things, but sports injuries shouldn’t be on that list! Be Proactive with the Sports Physical – While nearly every program demands a qualified medical professional screen your child prior to playing school sports, you can also use this appointment to ask any questions of your provider. If you’re concerned about any unusual or new symptoms your child has, this is a great time to get more information or schedule a more thorough exam. Be Sure Your Child Understands Safety Precautions and Protocols – More schools are taking the much-needed and proactive step of doing a baseline screening so if a player sustains a concussion during game-play s/he will have a baseline medical pros can reference. Yet young people may not understand the importance of following directions during the baseline (or later) testing, and miss out on vital health protection. Be sure to let your child know that safety precautions like this are only in his/her best interests. Get Your Child Moving – If your young athlete has taken a break this summer and spent a lot of down time playing online games or texting friends, s/he may not be in top form to go out and start a demanding practice and game schedule. Get your child moving, even if it’s asking for help walking the dog or mowing the lawn. If you have the advantage of an exercise bike or treadmill at home, you can even suggest short periods of activity – without worrying about it being too hot! Consider a Visit with a Specialist – Many parents sign their athlete/s up for sports lessons without batting an eye, yet might not consider how a different kind of specialist could help their child’s health and game play. While coaches teach specific techniques, a physical therapist can identify faulty movement patterns as well as areas of both strength and weakness, and how to best address any issues to reduce injury risk. One nice bonus that can come with moving better and having more strength and control tends to show up in improved sports performance – which athletes and their parents tend to enjoy! A good PT helping reduce your student’s risk of injury is also a major plus. If you’re sending your child back to school and into sports soon, consider visiting with a qualified and caring physical therapist. At Body One Physical Therapy, our providers work with clients of all ages and activity levels and we’d love to help your child improve his/her chances of staying healthy and strong this school year. 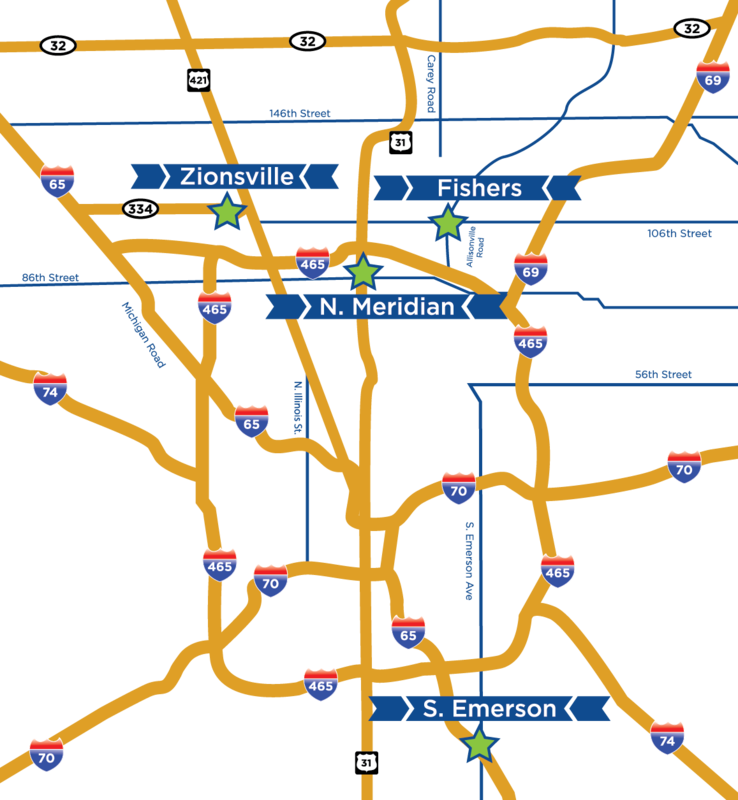 We are locally-owned and have four convenient locations to best suit your schedule: North Indianapolis, South Indianapolis, Fishers, and Zionsville. Call us today and talk with a member of our team!